A predictive shading control taking into consideration surveyed user requirements was prototyped and tested. Feasibility of PV-based operation of the control and LED lighting was assessed and validated in two simulation models. The economical potential was analyzed on this basis and a calculation of the presumptive costs of the system. Soaring cooling installations are increasing the energy consumption in Europe during the summer. In the SoWa project an alternative, securing comfort conditions and high working productivity of staff whilst using only solar energy was analyzed. The control of he roll-able blinds helps reducing the air conditioning requirements via adaptive shading but also avoids dazzling effects and allows for a harvesting of the solar heat gain in winter. By ranking the energy efficiency of the three lighting (day-lighting, PV fed LED-spots, fluorescent tubes) alternatives according to the actual future climatic conditions the total energy balance is optimized, comprising heating, air conditioning and illumination demand. After eliminating non usable shading concepts via multi-criteria analysis, innovation in roll-able blind technology was analyzed in depth. The technical feasibility of the light sensing and actuation of the roll-able blinds was tested using an hardware in the loop implementation of the control and the partly fuzzy control logic developed within the PYTHON framework and Labjack DAQ hardware. The savings potential was determined for typical scenarios via a simulation, a microscopic mutation was used to analyze quality of the control for different weather phenomena. A second remote control approach was tested employing a control unit connected via TCP/IP. PV-fed LED-lighting and roller blind/shutter operation is minimizing solar heat gain; but allows for a safe nightly pre-cooling with open windows in summer via controlling the gaps between the slats. Analysis of new PV-variants was a precursor for determining methods to integrate PV into the salts. 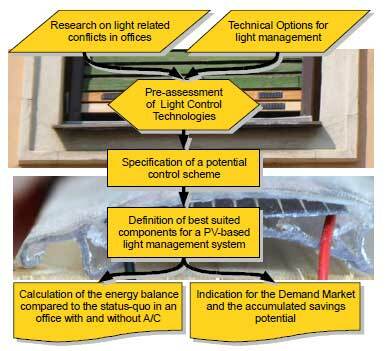 An outlook presents a road-map of implementing PV in shading facilities. The project has been finalised sucessfully in 2011 and seeks partnership for exploiting the know-how in industrial research and development in a small scale prototypical demonstration. How you may profit from the project? After securing the IP through a protected design, the project is seeking to demonstrate the found solution in a follow-up project. Proposals for funded or commercial projects are welcome. The wide expertise allows to think beyond the system used in the SoWa project architecture and to concentrate on other application fields. 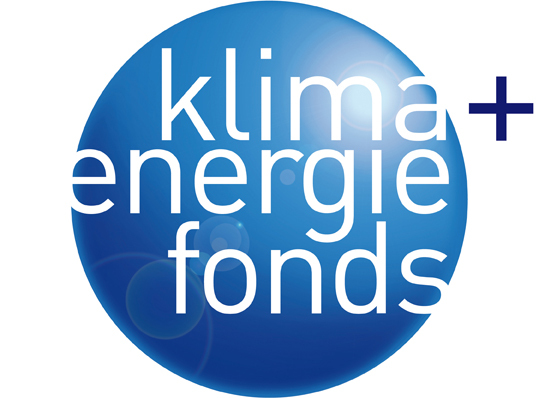 This project is funded with money from the Austrian Klima- und Energiefonds and implemented in the programme „NEUE ENERGIEN 2020“.